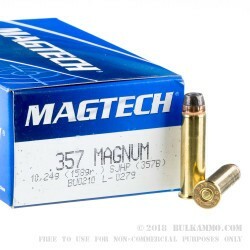 This 357 Magnum cartridge by Magtech sports a 158 grain projectile, which is the original weight the caliber was first introduced with in 1935. The hollow point bullet will expand to far greater than its original diameter as it enters a soft target, giving this round the stopping power it needs to be ideal for personal protection. 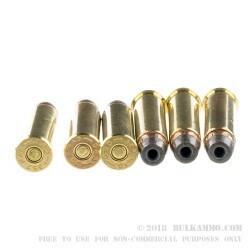 The bullet further features a semi-jacket, which will not only prevent excessive lead fouling in your pistol’s bore but also facilitates in penetration. This round’s supersonic 1,235 fps muzzle velocity does its part to facilitate in penetration as well. This cartridge further offers a non-corrosive Boxer primer and factory fresh brass casing. Those features make this round fit for work at a reloading bench, so 1,000 of these rounds can keep a handloader perfectly content for ages. 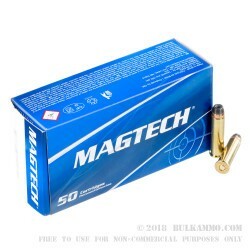 Magtech has built a great reputation for itself since its creation in 1990 owing to its products’ great quality, consistency, and reliability. 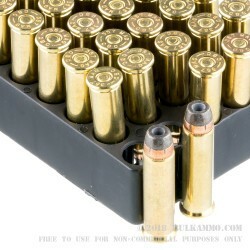 All of their ammunition is manufactured according to CIP or SAAMI specifications, and it is utilized for every imaginable purpose throughout the world.